It is beginning to look a lot like…spring time! Do you know what that means? Internship hunting season is in full bloom. If you are looking to move to a new, cool city or stay in your loving hometown, there may be an internship just for you. Although it is April, there are still numerous available summer internships on the MyPRSA Internship Center. March was a busy month for PRSSA and we had countless employers submit their summer internships. 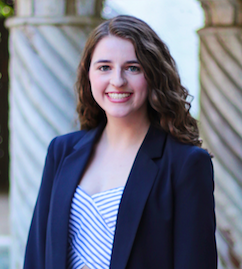 So, sit back and relax and enjoy the second PRSSA’s Best and Brightest: Internship Review! TURNERis a national boutique PR and digital communications firm with locations in New York and Denver and there are internship opportunities at both locations. The position will be for three months, part-time and it’s paid! They are accepting juniors, seniors and post-graduates. 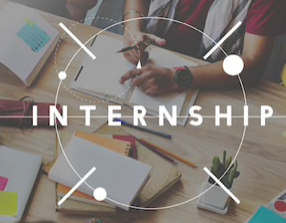 As an intern, you will be introduced to a wide cross-section of public relations and digital/social media, including research, reporting, media and influencer relations, content development, community management, a whole lot of writing and special events. Interns are also involved in some broader office activities, including team meetings and brainstorming sessions. Application closes on April 5, so get to it! Do you love dogs? Are you interested in the Atlanta area? Everywhere Agency focuses on social media campaigns and influencer marketing with Fortune 500 clients, established companies and emerging brands. They are seeking someone for a six month, part-time commitment. As an intern, you will work closely with account coordinators and account managers. In addition, you will assist with researching influencers, campaign reporting, brainstorms and creative meetings and more. This is a paid opportunity for current undergraduate or graduate students. Seattle, Washington and Washington, D.C.
RH Strategic is a public relations agency with a focus in technology, healthcare, security and government. Its services include: brand building, thought leadership, product and company launches, reputation management, crisis management, social, digital. You must be a college graduate to apply. As an intern, you will have the opportunity to jumpstart your career in public relations and gain on-the-job experience in a professional setting. The program is 12-weeks and designed to provide “practical public relations experience, mentorship and a workshop curriculum for obtaining experience with public relations tactics and execution.” And, it’s paid! To apply to these opportunities plus more, log on to the MyPRSA Internship Center. If you have any questions or need career advice, please reach out to me at amurtagh.prssa@gmail.com. Happy Internship Hunting!